Discount for your entire team, not just you! Play at more than 360 locations worldwide! New games being added all the time! The perfect gift for escape game fans! Get your card today. It’s valid for a whole year, there’s no annual subscription and you could make your money back after just one game. 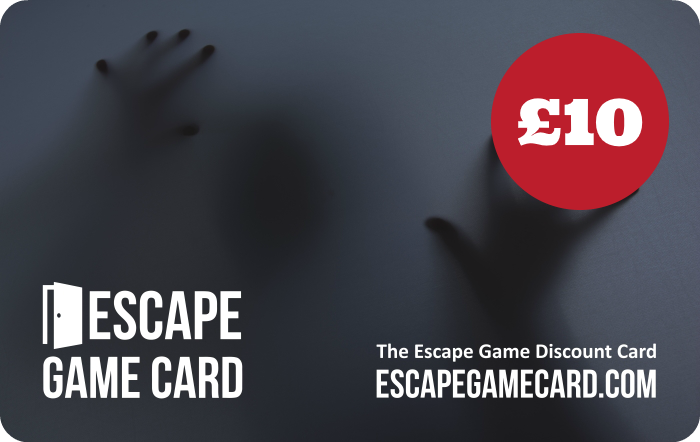 800 Escape Games and counting! Use our website to find a game near you. There are more than 800 games to choose from, spanning 360 locations worldwide. Money off for your whole team! Save money for you and your entire team. Use our website to find out how much you can save and instructions on how to claim your discount.